The UB-Flow profiler is designed for optimal 2D velocity vector profile measurements in industrial and natural flows. UB-Flow is a fully self-contained hydrodynamic probe equipped with two wideband transducers. Precise and accurate velocity profiles are measured along the acoustic beams with an unparalleled spatial resolution (down to 4 mm). UB-Flow uses Ubertone's Proprietary Technology, based on coded pulsed coherent Doppler, to deliver high quality measurements. 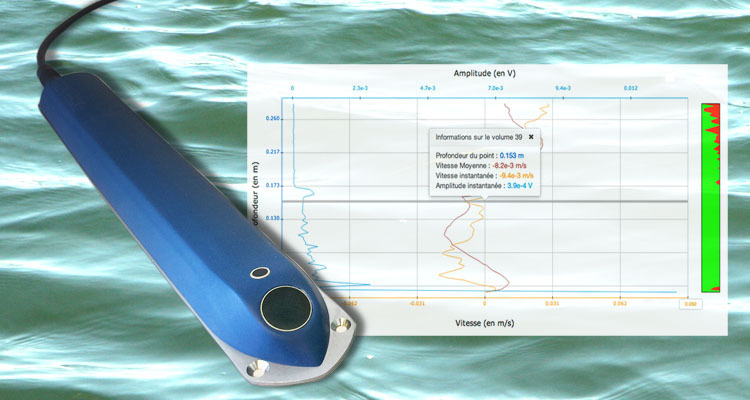 With its architecture and capabilities, the UB-Flow stands in between ADCP (Acoustic Doppler Current Profilers), as it can measure 2C velocity profiles, and UVP (Ultrasonic Velocity Profilers) instruments families. Furthermore, it breaks new ground by giving access to acoustic turbidity through the backscattered ultrasonic energy (or echo) by the suspended particles. This is used to monitor the suspended sediment load within a few meters depth. An option dedicated to scientific research allows fast measurements up to 100 profiles per second. Following the user's setup, the device switches alternatively from one transducer to the other. At each switch, the instrument provides a set of space-time matrix including velocity, SNR and echo data measured on the given transducer. Thus, the UB-Flow provides new opportunities of achieving excellence in this field. As the UB-Lab, the UB-Flow uses Ethernet communication to deliver an embedded Web interface. Ethernet communication goes through RJ45 cable. The device can behave like a DHCP server when connected directly to the computer, or it can be connected to the network and behave like a DHCP client. You can then, depending on your network configuration, connect to the device through WiFi. 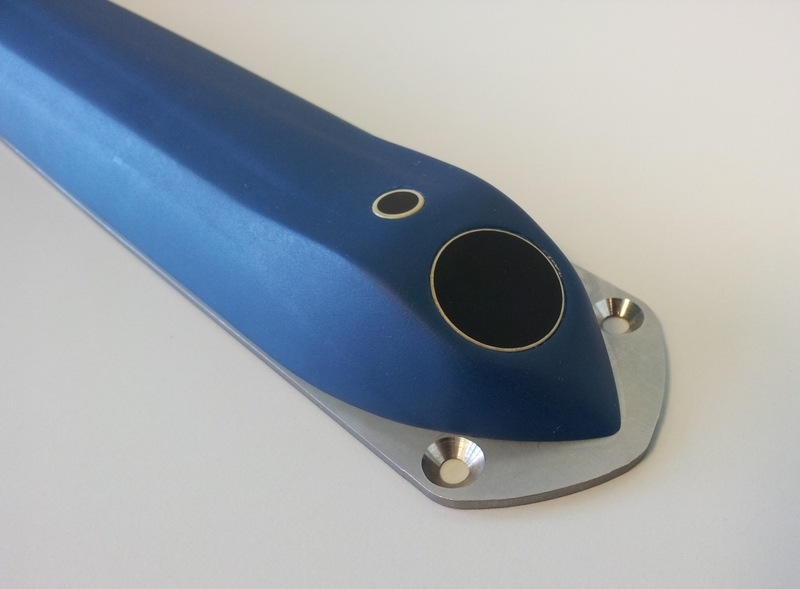 This ergonomic interface allows the user to set up, observe instantaneous data and record in the internal logger. A record can be started and the device can continue recording without the necessity of a user to stay connected to it. The device can work independently. Robust and autonomous, the UB-Flow profiler allows extensive measurements in sewage. When installed on the floor of the pipe, it measures the flow velocity at different levels without mechanical moving parts and with no risk of catching the transported waste. Easy to install, the UB-Flow profiler is particularly well suited for field measurements. In rivers, it allows the measurement of both the velocity and acoustic turbidity (which is directly linked to the suspended sediment concentration).